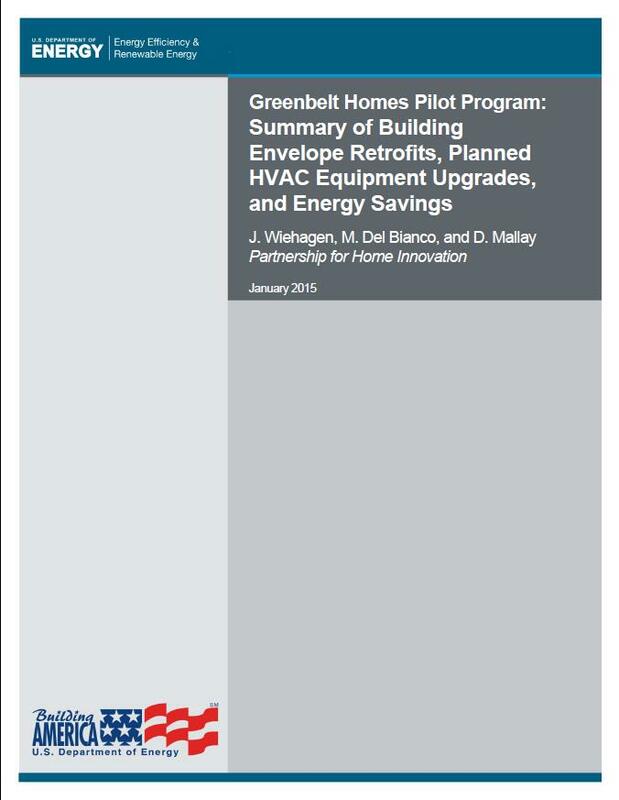 In the fall of 2010, a multiyear pilot energy efficiency retrofit project was undertaken by Greenbelt Homes, Inc, (GHI) a 1,566 home cooperative of circa 1930 and 1940 homes in Greenbelt, Md. GHI established this pilot project to serve as a basis for decision making for the roll-out of a decade-long, community-wide upgrade program to incorporate energy efficiency improvements to the building envelope and equipment with the modernization of other systems such as plumbing, mechanical equipment, and cladding. This completely cooperative-funded project presents a unique opportunity to evaluate and prioritize the wide range of benefits of high-performance retrofits based on the consumer’s experience with, and acceptance of, the retrofit measures implemented during the pilot project. Addressing the complex interactions between benefits, trade-offs, construction methods, project management implications, realistic upfront costs, financing, and other considerations, serves as a case study for energy retrofit projects to include high-performance technologies based on the long-term value to the homeowner. The three phases of the pilot project are all focused on identifying the added costs and energy-saving benefits of improvements planned for implementation during a planned community-wide retrofit program commencing in 2015. Phase 1 provided a baseline evaluation of the current operation, use, environmental conditions, and energy costs for a representative set of 28 townhomes sited in seven buildings. Phase 2 included the installation of the building envelope improvements identified in Phase 1, continued monitoring of the energy consumption for the heating season for comparative evaluation of the before and after performance, and energy simulations supporting recommendations for HVAC and water heating upgrades to be implemented in Phase 3. This report summarizes the Phase 2 activities that include crawlspace, attic, and wall upgrades, testing, and energy use summary. In addition to this summary of retrofit upgrades, this report includes an analysis of interior insulation options, which were of interest to some GHI members seeking to maintain the exterior “block” profile of the original buildings. The report also includes an analysis of heating and cooling system options, costs, community impact, as well as a cost-benefit analysis.